Do you have naturally curly hair and curse your curls for being so high on maintenance? Curly hair needs a little more work than normal hair. But once you find the right kind of products and fall into a pattern of nourishing your curls with them, your hair will thank you and become full of life in return. Go ahead and try some of the best products for curly hair that we have listed here and your curls will thank you for it. They will become healthy, shiny and full of life. The Herbal Essences Totally Twisted Shampoo is a combination of wild cherry and jewel orchid that makes your waves and curls defined and lush. Regular use spring cleans your scalp and hair to remove any product build up and leaves your hair smooth and frizz free. The shampoo comes with an all day humidity control formula that helps in keeping your hair bouncy irrespective of the weather. It is priced at Rs. 240 for 300 ml. The Organiz Shea Butter and Argan Oil Curl Enhancer is a mask for curly hair which helps in restoring the moisture to the curls and reversing any damage done by heat and chemicals during styling. Regular use will cause you to embrace your natural curls since they will be soft and hydrated. It is a non greasy formula that provides intensive moisture and prevents breakage. It is priced at Rs. 725 for 237 ml. 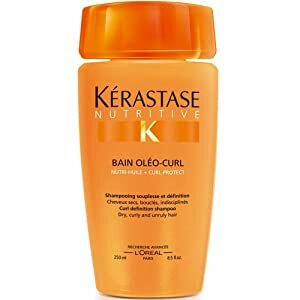 Keratase Bain Oleo Curl is a shampoo meant for dry and curly hair. It is formulated with palm oil and shorea which softens and lightens your curls. The cationic polymer in the shampoo helps in detangling the hair and giving it a shine and polish that you have never seen before. Regular use makes your hair fiber smooth and keeps the frizz under control. It is priced at Rs. 1400 for 200 ml. This styling gel helps hold your curls into place without adding much to the body or the weight of the hair. Normal styling gels cause a lot of build up or weigh down the hair. 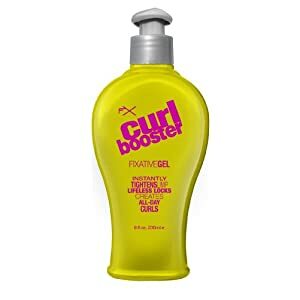 You can forget those worries with the Fx curl booster gel, made especially for curly hair. It instantly tightens your curls and adds a shine to it. Regular use will give you bouncy, nourished and healthy curls. It is priced at Rs. 495 for 236 ml. The TIGI Bed Head Foxy curls conditioner comes with sunflower seed and glycerin extracts that help in detangling your hair and nourishing it with moisture. The conditioner controls frizz and smooths the hair cuticle. Regular use gives you protection from UV rays and heat. It also controls the static built up in the hair. It is priced at Rs. 975 for 200 ml. The Himalaya Protein Hair cream comes with chickpea, amla wheatgerm and bhringaraja extracts. They promote hair growth, nourish the hair with vitamin E and promote lush hair growth. The cream nourishes the roots and the scalp, leaving your hair frizz free and manageable. It is an affordable hair cream, priced at Rs. 100 for 175 ml. The Brocato Curl Interrupted Smoothing and Hydrating Shampoo is a gentle sulfate free, paraben free formula that cleanses the scalp and the hair to rid it of any product build up. The shampoo smoothes the hair cuticle and keeps your hair tangle free. Regular use gives you frizz free hair. It is priced at Rs. 2475 for 946 ml.